With the NBA and NHL playoffs coming to a close, most bettors will turn their focus to the ongoing MLB season. Although baseball has historically been our most profitable sport, bettors may not realize that many of our contrarian strategies have been highly successful for WNBA bettors. In the past we have discussed how bettors can identify sharp money while betting on the WNBA, but many readers do not realize that we also trigger a number of profitable WNBA bet signals — particularly from the market-setting sportsbooks. Since 2007, the Pinnacle reverse line move has gone 184-136 ATS (57.5%) with +36.31 units won, while the CRIS steam move has gone 259-210 ATS (55.2%) with +23.82 units won. These moves are available to all Sportsbook Insider Pro members along with real-time odds, public betting trends, and our newly added money percentages. The 2016 WNBA season begins on Saturday, and we will be releasing our first ever WNBA Betting Against the Public report later this week. Before then, we wanted to ease readers into the flow by looking at how the WNBA futures have moved since opening in April. The table below examines how the WNBA futures have changed at the Westgate Superbook over the past month. Over the past month there hasn’t been major movement in the futures market. The Phoenix Mercury, who are led by stars Brittney Griner and DeWanna Bonner, are still the favorite after moving from +250 to +225. Their toughest competition, the Minnesota Lynx, dropped from +275 to +325. The Seattle Storm, who have the second longest odds, improved from +7500 to +5000. Do you think any of these teams are providing value? Can the Lynx repeat as champions? 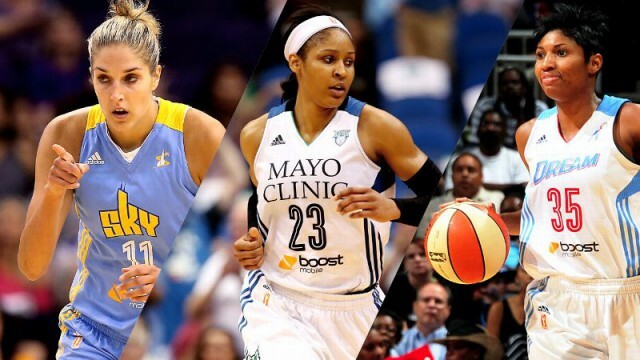 Will you bet any WNBA games this season? Leave your thoughts in the section below.